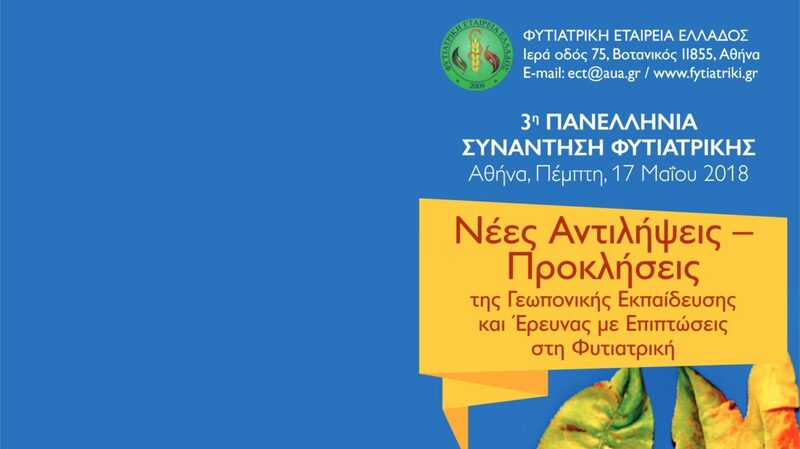 H2020 project Ochravine Control, in which AGENSO is participating, was presented today at the 3rd Hellenic Plant Medicine meeting that was held today in the Agricultural University of Athens. Main aim of the OchraVine Control project is to offer an inexistent innovative, sustainable and integrated smart ICT solution (OchraVine Control DSS) considering fungal, host and environmental indicators that affect OTA contamination along the vine grape-wine value chain. The OchraVine Control DSS will allow prediction and monitoring at pre- and post-harvest level to control Aspergillus infection and OTA contamination in vine cultivation by combining epidemiological data, biological and chemical management strategies, post-havrest technologies and precision agriculture tools. AGENSO is an innovative company for agriculture, and its team is composed of highly motivated and qualified people that hold master degrees and doctorates in agricultural engineering, information technology and environmental management. AGENSO expertise spans in Precision Agriculture (PA) services and IoT solutions and specializes in the promotion of research and services in the areas of sustainable agricultural production and advanced technologies for agriculture. 2019 © Copyright, Agenso. All Rights Reserved.